Commissioned in 1904, the Larkin Administration Building was one of Frank Lloyd Wright’s first public buildings and was the center to the Larkin Company empire. Due to great growth, the company expanded and in 1912 the terminal building was built. When the company folded, the complex sat vacant and the administration building was demolished, but the Larkin Terminal Warehouse building remained. 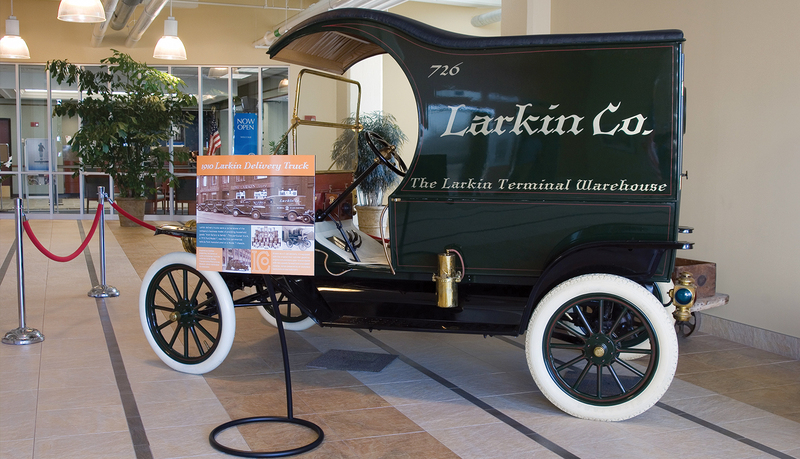 In 2001, CityView Properties purchased the Larkin Terminal Warehouse and, due to the historical significance, worked diligently to restore the building to its 1912 design. 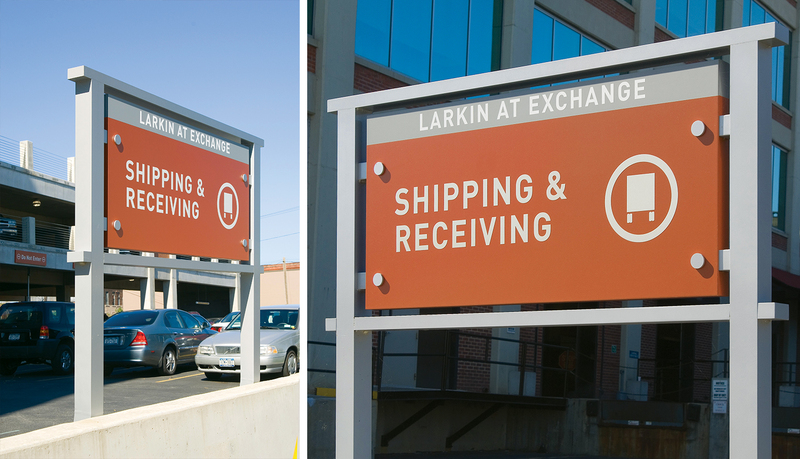 CityView needed a signage solution that would reflect the historical significance of the building’s architecture and the industrial strength of the Larkin Company, while highlighting the modern revitalization efforts. 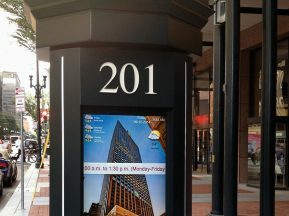 Additionally, CityView needed a detailed wayfinding plan for the exterior of the building to ensure visitors could easily navigate the site. 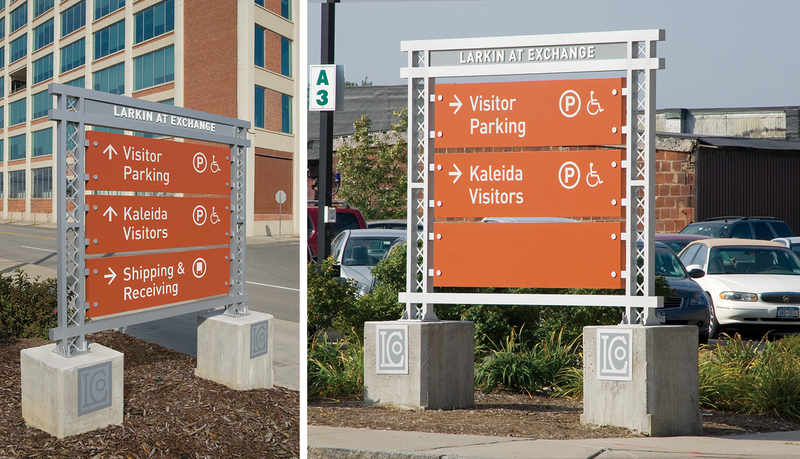 CityView Properties contacted ASI to create a new signage system for the revitalized historic terminal. ASI conducted extensive research into the history of the site, then developed design concepts that complemented the feel of the entire site by connecting the old with the new. 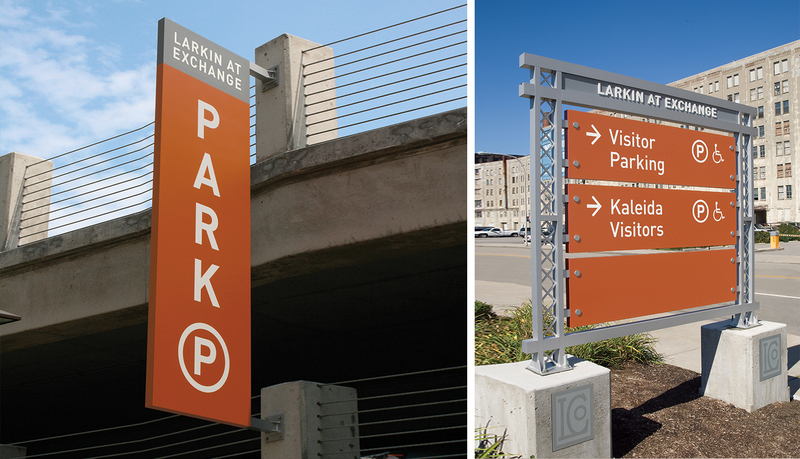 After several site visits to determine traffic patterns and wayfinding challenges, ASI developed a thorough directional signage package for the exterior of Larkin at Exchange. 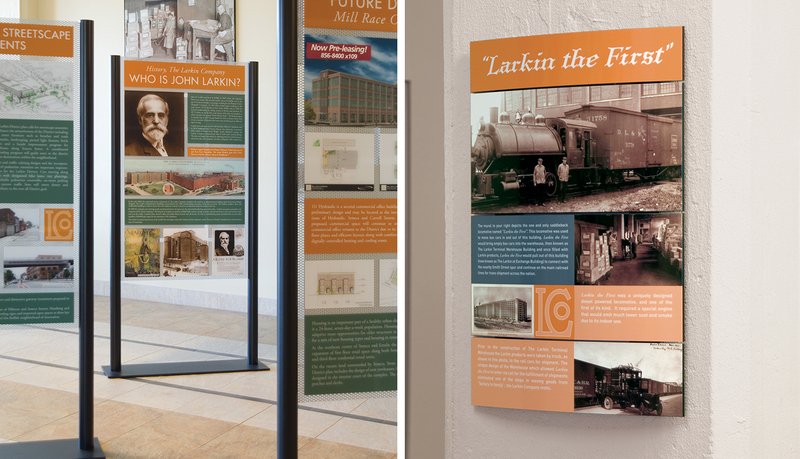 Each custom panel sign is set into a mason base that incorporates the Larkin Company logo to honor the history of the site. 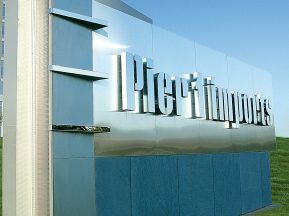 Reflective copy applied to the panels ensures that visitors can find their way regardless of lighting or weather conditions. 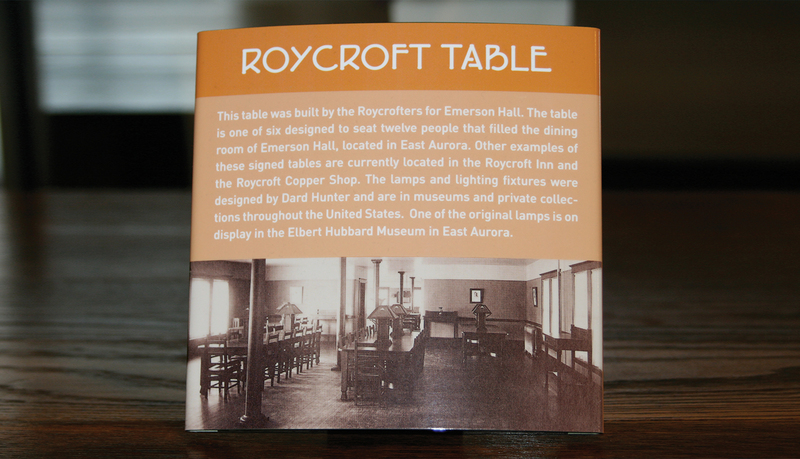 The interior signage package consists of informational signs to identify the historical aspects of the building that purposely remained intact during renovation. 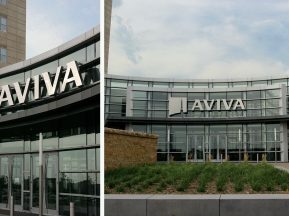 Various styles and mounts of custom signage were used throughout to complement the architecture. 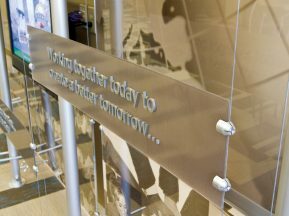 Floor signs, table signs, and wall-mounted signs were thoughtfully placed to ensure access to information without interrupting the décor. ASI also provided kiosks that detail the history of the building and provide visitors with a museum-like experience.